A huge counterfeit bust in South Africa. What started as a routine check by customs agents in South Africa ended with the seizure of 30,000 pairs of fake sneakers. The Citizen reports that the South African Revenue Service busted the truck carrying the phony goods as it attempted to cross the border from Mozambique into South Africa. 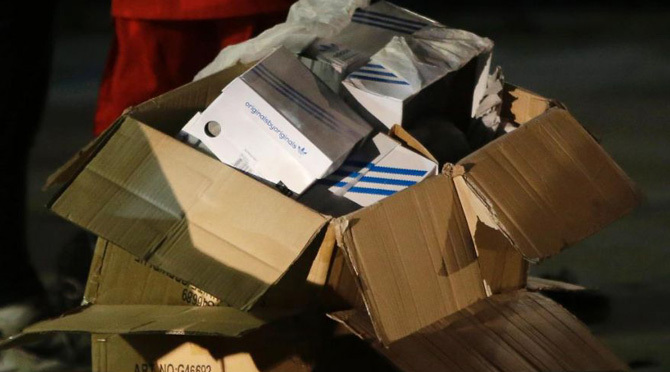 Agents found 20,164 pairs of adidas, 5,077 pairs of Converse Chuck Taylor All-Stars, 3,627 pairs of Nikes, 389 pairs of Air Jordans, 39 pairs of Vans and eight pairs of Pumas. The South African Revenue Service puts the value of the seized goods at 23,000,000 South African rand, which is about $1.4 million in USD.